Could 2019 be the 'Year of the Vegan'? Consumers today are trending towards a more health-conscious life, with more and more people switching to plant-based diets in a bid to "eat clean" and stay healthy. In January of 2019, a record-breaking 225,000 people signed up to ‘Veganuary’ - a movement started by a UK non-profit organisation that encourages people to go vegan for 31 days. 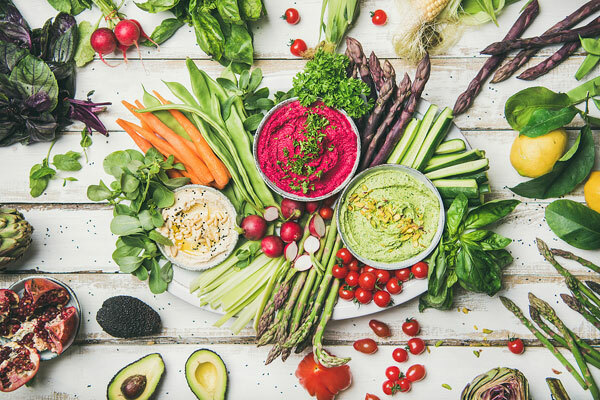 The 'vegan-diet' has seen an unprecedented rise in popularity in recent years with plant-based options becoming more accessible and more affordable. Nutrition manager at Fitness First Middle East, Banin Shahine, looks at the health benefits of a vegan diet, ways to counteract any potential negatives and dispels popular myths. Several people turn to a vegan diet not only to protect animals and to help save the planet, but also because they believe it is a healthier option. Veganism has recently been praised for its weight-loss benefits, with the average vegan weighing 2-4kg less than a meat eater. This is predominantly due to the amount of calories contained in animal protein – plant-based protein tends to be much lower in calories than animal protein. A plant-based diet can also help to improve digestion with a high intake of vegetables, fruits, fibre and prebiotics helping to comfort the colon. Animal products derived from dairy such as milk, cheese, yoghurt, and chocolate, as well as eggs, can also cause intolerance reactions in sensitive people. Cutting these products out can help reduce symptoms from a food intolerance and decrease the chances of developing leaky gut syndrome. According to the American Dietetic Association, reducing your animal product intake can also help lower the risk of developing chronic diseases such as hypertension, diabetes, heart disease and cancer. Switching to a vegan lifestyle can result in uncertainty for many people. Many people are unaware of the vitamins and minerals you may lose out on when switching to a vegan diet and require information on how to ensure they are maintaining as healthy and balanced a diet as possible. • Work with a nutritionist to learn more about which specific plant-based products should be consumed to avoid any deficiencies, for more information book an appointment with a nutritionist at Fitness First.